I’ve been on a real succulent and cactus kick these days. In fact, Mr. Gish and I have totally redone (with help) our front yard entirely in succulents and cacti. It’s almost done now and it looks awesome! It’s also low maintenance. Low maintenance not only because that’s just how those types of plants roll, but because Mr. Gish does all the yard work. I helped pick out the plants and I get to look at them, so I definitely have the better part of the deal. Our succulent garden idea took a step into reality thanks to to some guidance and help from by our friend Zina, who herself has a succulent and cactus garden. 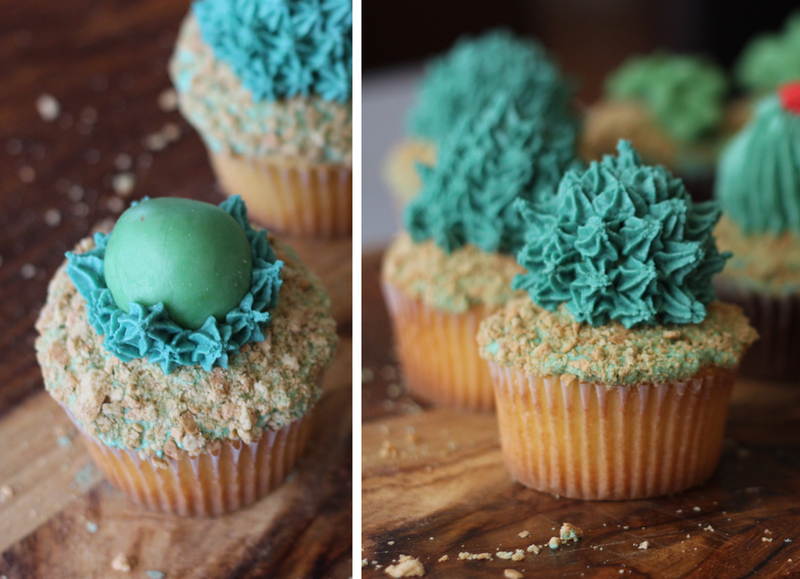 Several months ago, Zina sent a link to a tutorial that combined both of our loves – cupcakes and succulents! I’ve been waiting for the perfect opportunity to make them myself, and when Zina had a party last Friday, it was opportunity was knocking. For a super easy and cute how-to, quick shoutout to the blog that started all of this: Alana Jones-Mann. I don’t have the exact same tools as the tutorial, but I found a way around it. A little more work? Yes. Did it stop me from making these? No way! 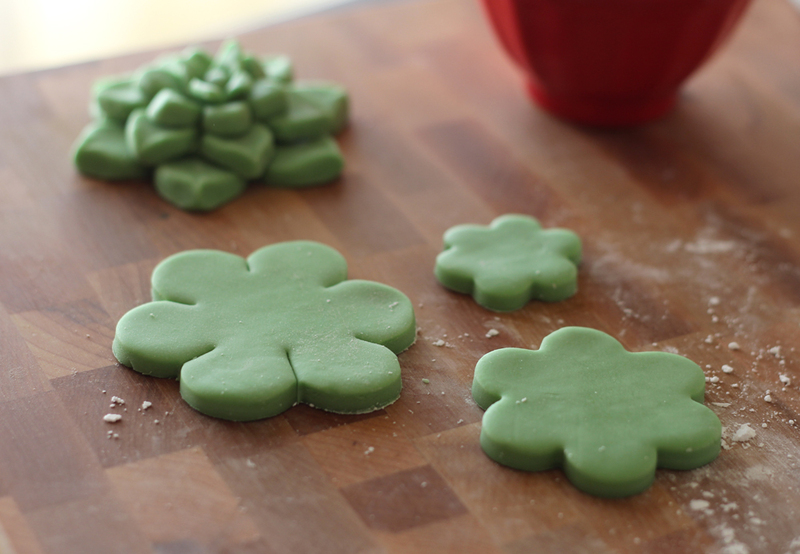 I started off with marshmallow fondant and some green food coloring. I mixed a little avocado, leaf green, plus some forrest green together to get the color I wanted. 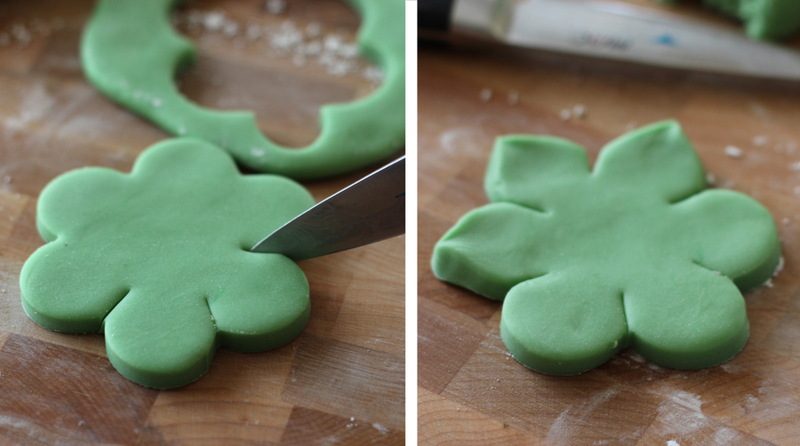 I have a set of several flower-shaped cookie cutters, but they’re all this shape. It’s not the right shape, so I had a little work to do. I first cut between each “petal,” then pinched the round parts with my fingers to form the points. Then twice more with smaller size flowers. Any more layers might be overkill. When I finished assembling three larger flowers, I made a bunch of teeny tiny ones to look like little buds. And now bring on the CUPCAKES! 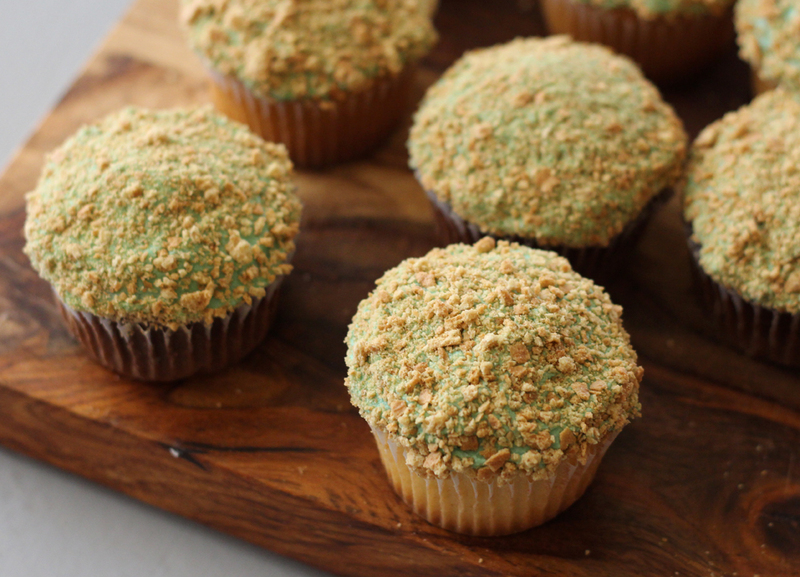 I tinted some buttercream frosting a similar color green and applied a thin layer to the cupcakes. 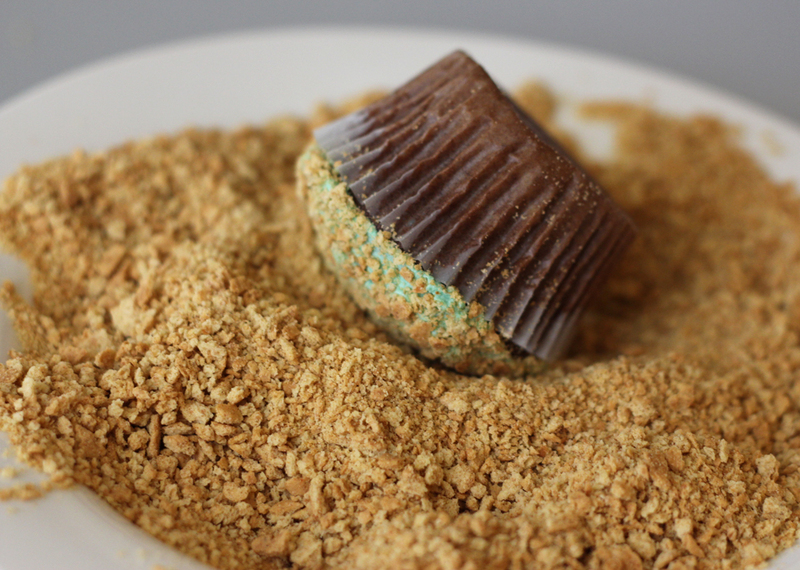 I then dipped the tops into some crushed graham crackers to look like the tastiest dirt you’ve ever seen. I totally whipped the bejeezus out of my frosting, so it’s little too airy looking for my taste, but it works. Next time I’ll go for a more smooth (prettier?) look. 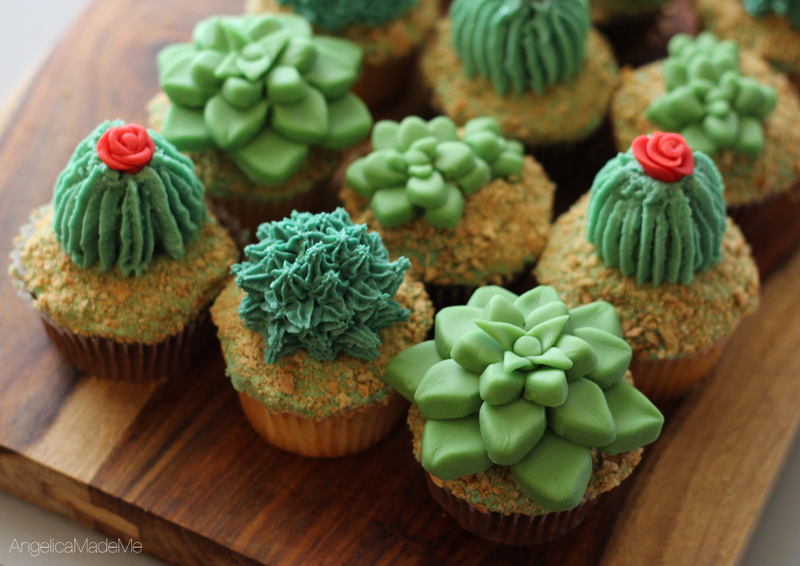 Anyway, I made a few barrel cactus cupcakes using a ball of fondant and buttercream applied with a leaf piping tip. Check out the picture on the left. It looks like the ball of fondant is rocking a mullet, doesn’t it? 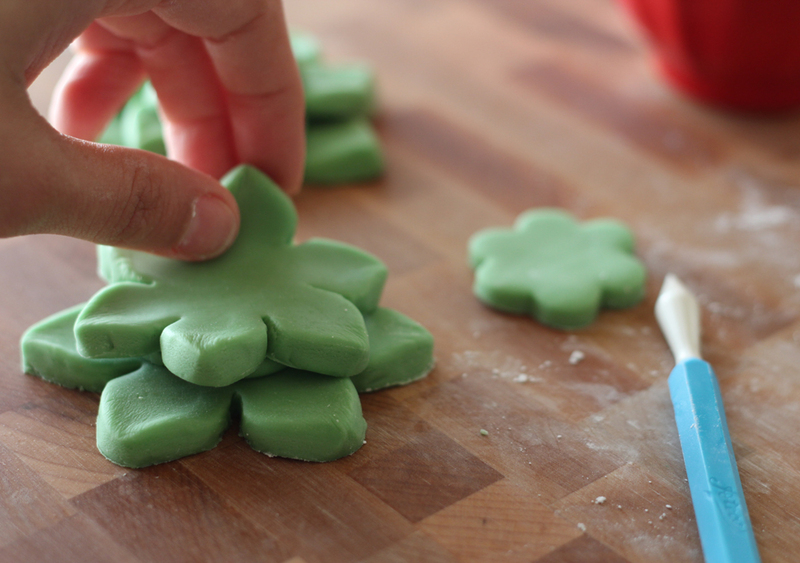 Also, please don’t judge me by my red fondant “flowers.” It was a first! 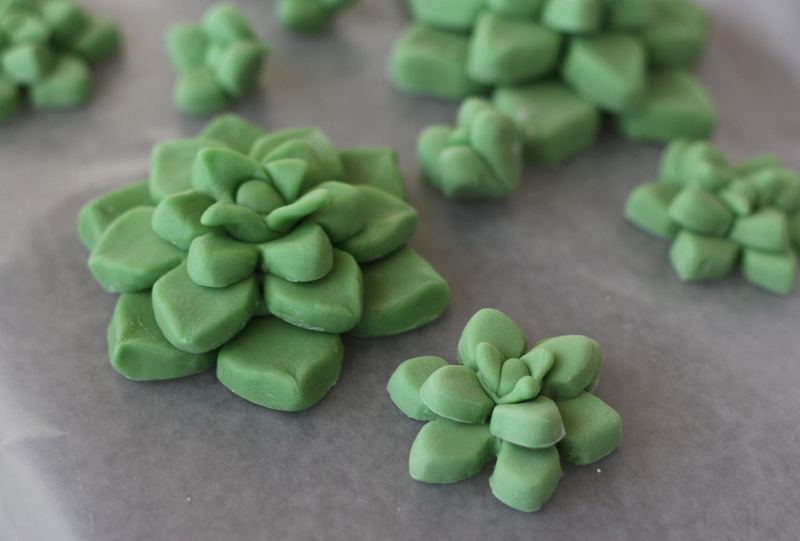 This last cactus started off with a ball of fondant as well, but was surrounded by frosting that was applied with a star tip. 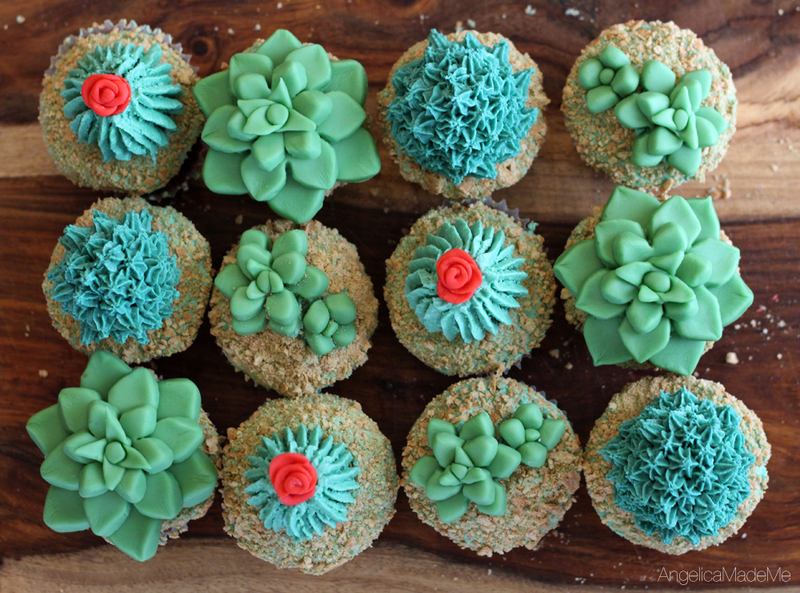 And here we have the garden of cupcakes! Angelica — Z’s hubby Al here. You and Señor G ROCK. Thanks for coming to our shindig, and major props for the cupcake garden, it was wonderful! Everyone loved them, and was utterly amazed by your skill & talent. Jaw-droppingly beautiful!